Tony Stewart knows he has a tall task ahead of him in Sunday night’s Southern 500 at Darlington (S.C) Raceway. 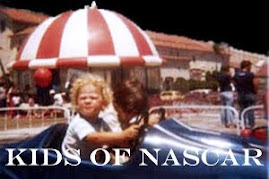 But the three-time NASCAR Sprint Cup champion would like nothing better to celebrate his 50th victory after his final race at one of NASCAR’s most historic tracks. Adding to the prestige of this weekend’s penultimate race before the start of NASCAR’s 2016 Chase for the Sprint Cup playoffs, the No. 14 Stewart-Haas Racing (SHR) Chevrolet SS will carry a red-and-gold Coca-Cola paint scheme honoring the 1971 and 1972 racecars driven by Bobby Allison in back-to-back victories at Darlington. The “cool car” he refers to is part of throwback weekend at Darlington, when teams will honor the NASCAR heritage with special paint schemes and uniforms. Nearly every car in the field will sport a throwback paint scheme. The No. 14 crew will wear 1970s-styled, red-and-white Coca-Cola pants throughout the three-day Darlington weekend. 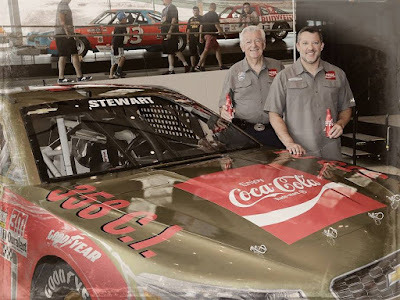 Stewart’s car will also be emblazoned with Coca-Cola’s tagline of that era, “The Real Thing.” The authentic look from Allison’s race-winning cars have been recreated for Stewart’s Chevrolet this weekend, right down to the gold wheels and cubic-inch displacement boast on the hood. Allison dominated from start to finish in both the 1971 and 1972 races at the 1.366-mile oval. He started from the pole each time and led 558 of the 734 laps available – 76 percent – in the two races. He paced the field for all but 38 laps in the 1971 Southern 500 and led a race-high 229 laps in the 1972 Southern 500. The victories were the first of five premiere series wins Allison earned at Darlington. Five hundred miles at Darlington is normally tough under any circumstances but, for Stewart, “The Track Too Tough To Tame” and Kentucky Speedway in Sparta, added to the schedule in 2011, are the only venues on the Sprint Cup circuit where he has yet to win. He owns a career-best third-place finish in the 2009 and 2012 Southern 500s. He posted four top-five finishes and 12 top-10s and has led a total of 30 laps in his 23 career Sprint Cup starts at Darlington. His average Darlington start is 17.5, his average finish is 12.0, and he has a lap-completion rate of 99.1 percent. One of Stewart’s 11 career Xfinity Series victories came at Darlington on May 9, 2008. Stewart announced in November that 2016 would be his final season as a full-time Sprint Cup Series driver. 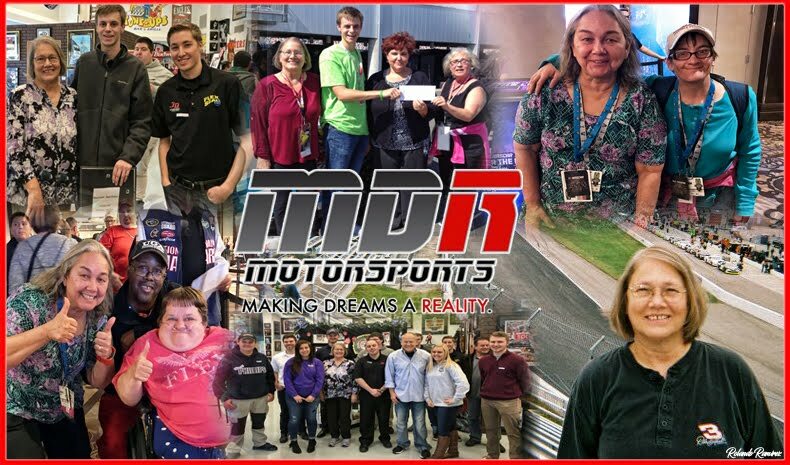 He missed the first eight races of the season after sustaining a burst fracture of the L1 vertebra in a Jan. 31 all-terrain-vehicle accident. Brian Vickers and Ty Dillon filled in during his absence. Stewart’s first race in 2016 didn’t occur until April 24 at Richmond (Va.) International Raceway. With rookie crew chief Mike Bugarewicz, Stewart has surpassed preseason predictions, winning at Sonoma (Calif.) Raceway in June and racing at the front of the field nearly every race since. In the last 10 races, Stewart has scored the fifth-most points of any driver. His 21st-place finish at Michigan Sunday clinched a spot in the Chase, which begins Sept. 18 at Chicagoland Speedway in Joliet, Illinois. Stewart said the next two races are important to Chase preparation for himself, as well as his SHR teammates Kevin Harvick and Kurt Busch, who have clinched Chase berths, as well. “You want to be peaking at that time,” Stewart said. “It’s never that you go to the track and you’re like, ‘Well, we don’t want to peak this weekend, so we’re not going to try to win the race.’ That’s not the scenario you put yourself in. You want to have momentum, you want your team guys to feel like they’re building on something and feel like they’re getting to the top of the pile.